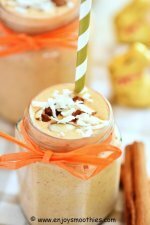 If you make smoothies on a regular basis then you definitely need to know how to make almond butter. All it requires is a packet of almonds, a high-speed blender or food processor and some patience. Homemade almond butter is so much better than the bought stuff. It’s healthier and cheaper. Making your own means there are no hidden nasties, such as added sugars and other additives. 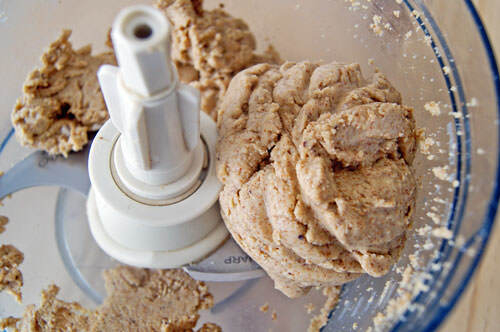 There are several ways to make almond butter at home, but you will need either a food processor or a high speed blender. Some websites advocate adding a little oil to the nuts to help in the blending process. But I find that roasting the nuts first helps to release the nut’s natural oils, and the results are just as good. I recommend this method if you are making it for smoothies. 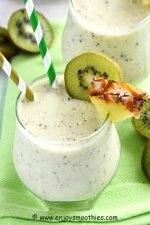 It has a pure almond taste and will add a wonderful creaminess to your smoothies. But it’s not just great in smoothies. Spread it over toast, crackers or add to cookies and quick breads. 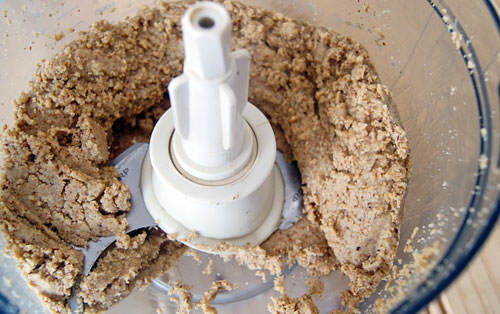 If you don’t have a high-speed blender, it’s perfectly possible to make almond butter in a food processor. 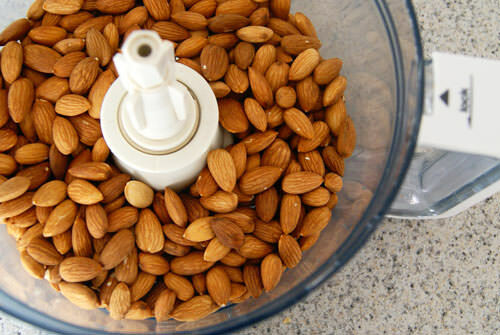 You will need 3 – 4 cups of almonds, depending on the size of your food processor. Use natural or raw almonds. The whole process takes no more than 30 minutes. Spread the nuts over a baking tray lined with a baking mat or baking paper to prevent them sticking. Pop the tray into a pre-heated oven (250°F / 120°C) for about 10 – 15 minutes until they are heated but not burnt. 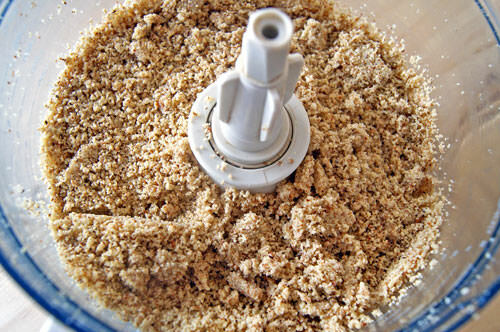 Add your “S” blade to the food processor. Remove the nuts from the oven and add to your processor bowl. I find 3 cups is ideal for my processor. 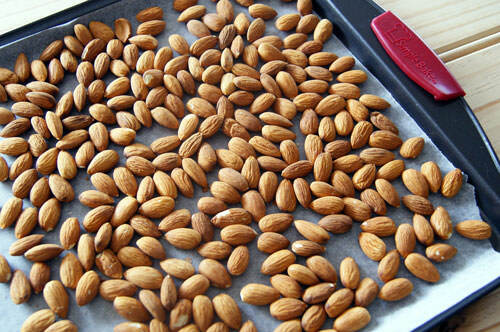 Use the pulse button to break your almonds up into smaller pieces. 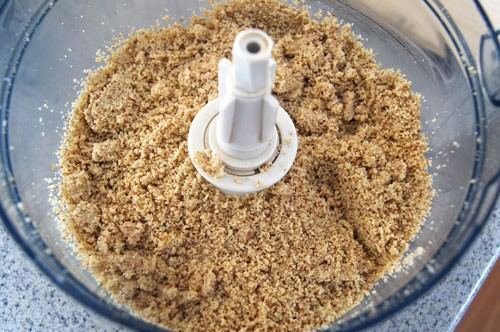 They will resemble coarse breadcrumbs. Then turn your processor on and leave it running for 5 minutes. After that time turn the processor off and scrape down the sides. Your almonds should now resemble fine breadcrumbs. Continue processing for another 5 minutes. You will find that the crumbs tend to climb the side of the bowl, but you just have to keep scraping down the sides. You may think that nothing much is happening, but you just have to be patient. Turn your processor back on and continue processing. Suddenly you will find that the crumbs start clinging together. It all happens rather quickly after this. As the oils are released the mixture becomes much wetter and less grainy looking. As the mixture comes together it will form a ball. But don’t stop now the process is not quite finished yet. Keep processing and soon that ball will dissolve and become a smooth and creamy nut butter that looks like this. 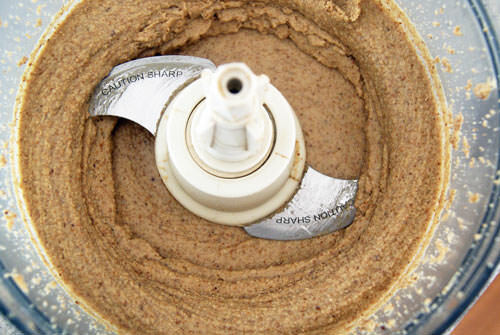 If you are making almond butter in a blender, you will need a high speed blender such as a Vitamix, Ninja or Blendtec. Place the nuts into your blender and blend on low speed. If you have a tamper use it to push the almonds down, otherwise you will have to regularly scrape the mixture down the sides. After about 7 – 9 minutes you should have creamy almond butter. Heat your nuts first then add your nuts to the processor while still warm, this will help to release the natural oils. You will need to stop every few minutes to scrape down the sides. 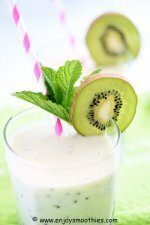 Using a high speed blender or food processor it should take no longer than about 15 minutes. 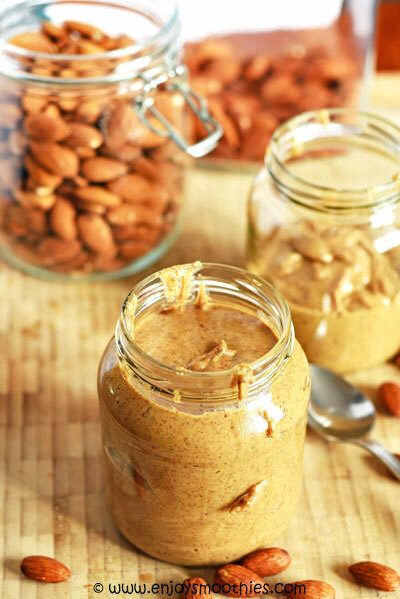 To store, spoon your nut butter into a glass jar with a lid. Mason jars are ideal for this. Homemade almond butter needs to be refrigerated and will keep between one and two weeks.